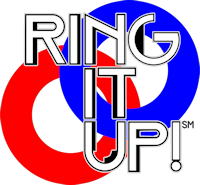 The 2012-2013 Game: Ring It Up! Ring It Up! is played on a 12’x12’ diamond shaped field. Two alliances comprised of two teams each, compete in matches consisting of a 30 second autonomous period followed by a two minute driver controlled period. The object of the game is to score more points than your opponent’s alliance by placing plastic rings onto pegs on the center rack. Teams will also be challenged to detect special “weighted” rings to earn a special multiplier bonus. There are a total of 52 plastic rings available (26 per alliance) as scoring objects in the game. Each Alliance will have 18 regular, 6 weighted and 2 pre-load autonomous rings. 48 rings (12 per dispenser) are placed on side dispensers at the beginning of the match. The weighted rings are visually identical to the regular rings and are placed randomly on the dispensers. Each robot is given 1 pre-load ring to be used in the autonomous period. An IR Beacon is placed randomly on the second level of the rack at the start of each match. A bonus is earned for placing the pre-loaded ring on the column with the beacon during the autonomous period. During the driver control period, teams must retrieve rings from the dispensers and place them on a center rack consisting of two independently scored 3x3 grids of pegs. Peg ownership is determined by the alliance with the most rings on a single peg. Three or more owned pegs in a row (vertical, horizontal or diagonal) are eligible line score bonuses. The field includes two alliance neutral corner goals. Weighted rings placed on the corner goals are eligible for the multiplier bonus calculated on matching alliance rings that are placed on the center rack. The final thirty (30) seconds of the Driver Controlled Period is called the End Game. Each Alliance attempts to lift their alliance partner’s robot off the floor by at least 1” up to a maximum height of 24”. Lift scores are calculated from the lowest point of the lifted robot and must be completely off the floor to count. An Autonomous Ring placed on any other column will mark ownership of the peg. and Line Score Bonus per each Weighted ring placed) 60% for 3 etc.